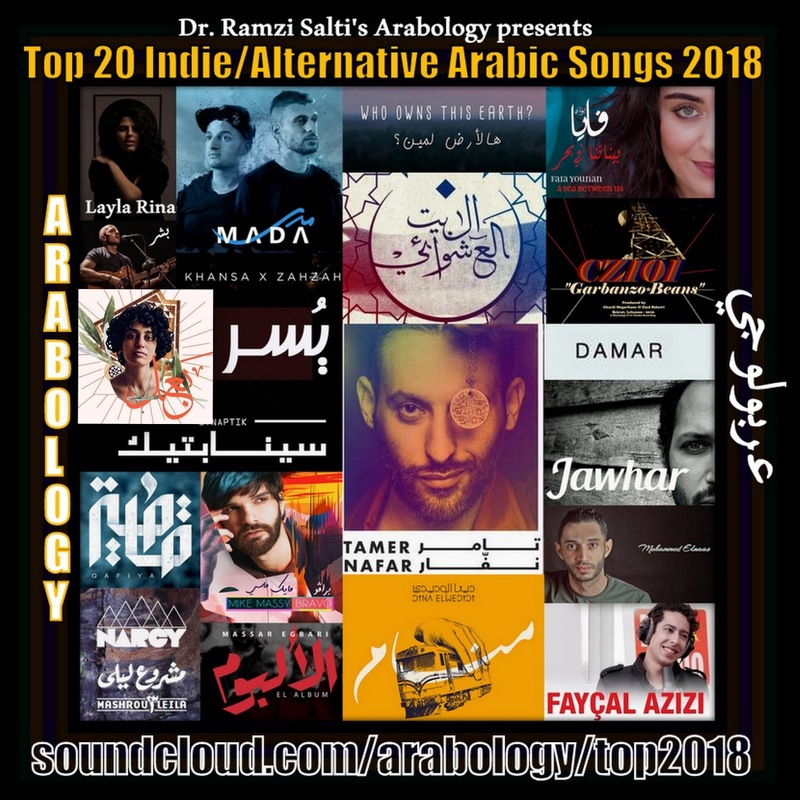 The latest episode of the popular radio show Arabology, which airs from KZSU 90.1 FM (Stanford University) featured a countdown of the Top 20 indie/alternative Arabic Songs of 2018. The program is hosted by Dr. Ramzi Salti, Lecturer at Stanford + KZSU radio host. Here is a list of the Top 20 Songs starting with Number 1. Each song is followed by info about each artist/song. Please note that this list is followed by another list which showcases those amazing instrumentals that served to introduce some of the tracks during the show. Massar Egbari was founded in 2005 by 4 musicians: Ayman Massoud (Keyboards), Hani El Dakkak (Guitar & Lead Vocal), Ahmed Hafez (Bass guitar(, and Tamer Attallah (Drums). Mahmoud Siam (Guitars) joined the band in 2008 . Bisher is a Jordanian musician who, in 2001, joined one of the most established musical groups in the Arab world. [Rum- Tareq Al Nasser] as a guitarist/vocalist and went on to perform in in over 40 concerts in more than 15 countries. In 2012 Bisher started the first Online Music School out of the Arab World [izif.com] which provided educational content about music in both Arabic and English. In 2017 Bisher started his Solo Act as a Singer/Songwriter/Guitarist, eventually releasing his first album in 2018. Juliana Yazbeck was born in New Jersey to Lebanese parents who had fled the Civil War. At the age of five, she moved to Lebanon and was raised there until, at 22, she moved to London. Juliana’s mixed background has influenced her musical style and political lyrics. Combining poetry and music, Western and Middle Eastern styles, and tribal beats with smooth harmonies, her songs tell stories focused on gender, war, displacement and love. Juliana is also a writer and music entrepreneur. Yusor Hamed is a Palestinian independent singer/songwriter and music producer, located in Ramallah. She has experimented in pop, house and electro music. She studied at the International Academy Of Art Palestine and Birzeit University. She is joined by Synaptik [Laith Al Huseini] a Jordan-based independent rapper, artist and co-founder of ArtsUpperCase collective. This track was written by Yassin Alsalman and Hamed Sinno in 2018. Yassin Alsalman, better known by his stage name Narcy, is an Iraqi-Canadian journalist and hip-hop MC. He currently resides in Montreal, Quebec. Alsalman's parents are originally from Basra, Iraq but emigrated to the United Arab Emirates (UAE) in the 1970s. Yassin was born in Dubai in 1982. In 1987, at the age of five, he and his family moved to Montreal, Quebec, Canada. Yassin spent much of his youth moving back and forth between Canada and the UAE, spending his high school years receiving an education in Dubai. His new album, a 45 minute journey through the bass thumping emotions of a diasporic traveler, delivers a sound bigger than the biggest planets. 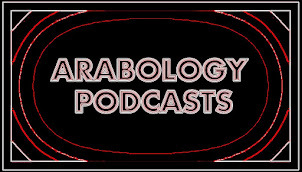 He is joined by the groundbreaking Lebanese band Mashrou' Leila who have been featured (and interviewed) on several old episodes of Arabology. Damar is the baby of Osama Abbas, a Hip Hop Music Producer in Jordan who has worked with the likes of El Far3i, Synaptik. Damar's first album was titled Damarshmallow and contained 27 tracks produced between 2010 and 2015--based on Arabic music sampled from old Arabic vinyls, old Arabic films and plays. Mohammed El Naas born in Feb 86, lives in Tripoli Libya. He has been writing music, composing, mixing, singing and recording for almost 10 years now. He is influenced by blues jazz, and soft rock, plus new style where he mixes these styles with Arabic lyrics. مرو بسلام [Proceed with Peace] is mainly about facing day to day issues with peace and hope even when everything seems to be crumbling. Born in Syria on June 1992, Faia grew up in the iconic musical city of Aleppo in a family that cherishes culture and arts. At age of eleven, she moved with her family to Sweden. Her voice has longe charmed audiences at cultural events in Stockholm. After playing the rôle of "Jesus" in France, Mike Massy returns to the music scene with a 9th studio album, "Bravo", written, composed and produced by Massy himself. This album consists of 9 tracks in Lebanese and literary Arabic, and it was written and recorded between Brussels and Beirut. "Bravo" refers to one of the songs on the album that features Mike Massy's vocal signature, accompanied by a pop production, combined with a classical‐acoustic orchestration. With a subtle blend of tradition and modernity, this album is the new positioning of Mike Massy, who manages the transition from traditional to modern with astonishing ease. This track was released in Feb 2018 along with superb music video that was directed by Tanya Nasr. Nafar was born to Fawzi Nafar and Nadia Awadi in Lod, Israel, and is the leader of the world's first Palestinian hip-hop group DAM. He became the face and primary voice of Palestinian hip-hop and is internationally recognized through worldwide tours. He identifies as a Palestinian citizen of Israel. Tamer discovered hip-hop through Tupac Amaru Shakur's beats. Jawhar (Basti) has created his own signature style of world­folk music that one could probably describe as midway between arab chaâbi and Nick Drake’s dreamy folk lullabies. Inspired by « the withering Arab spring» Winrah Marah is simultaneously more incisive and more colorful than his previous album. The ten songs on the album are powered by a band which has gained in complicity and coherence. Jawhar was born to a mother professor of Arabic literature and a father devoted to theater and culture in the southern suburbs of Tunis. At the age of 20 he left for France to study English literature and theater and settled first in Brussels and then in the countryside. However, at the birth of his first child, Jawhar felt the need to reconnect with his homeland. "Qibla Wa Qobla " (The Kiss and the prayer-orientation), Jawhar’s second album, was released in 2014). The press saw it as a "shimmering mosaic where Sufi and Pop learned to speak the same language: that of the universal and timeless music" (Musiczine). Winrah Marah was released in 2018 along with superb music videos. Qafiya (English: Rhyme) is an Arabic Rock band from Cairo, Egypt, formed in 2018 by vocalist/composer/lyricist) Nour Khan. They released their first single "Eskoni Ya Jerah" on November 20th and are currently working on their first EP. Nour Khan is an independent vocalist from Egypt who has had a passion for singing since she was 8 years old. The madness and the wailing times has passed. That will be gone by morning, as seasons flow. Cairo artist Dina El Wedidi's newest album 'Slumber' is a dark, emotive electronic album made entirely from the sounds of Egypt's trains. The final track, “Alive,” was arranged by Cairo electronic artist Hussein Sherbini, who also supports Dina on vocals in the track. Musically, it is the warmest track on the album, zooming in on Dina’s looping lyrics that hop rhythmically from rhyme to rhyme, casting a hypnotic, disassociating spell, before the track drifts off, the train tracks lulling you gently out of the nap, and to your destination. Layla Rina is a singer songwriter From Nazareth who released this track in May 2018. Lyrics by Layla Rina; Music by Muhammad Abu Ahmad & Layla Rina. Produced by Muhammad Abu Ahmad. Yousef Kekhia is a Singer-Songwriter from Aleppo, now based in Berlin. He left Syria due to the civil war in 2013, graduated from university in Istanbul and finally settled in Germany in 2016. 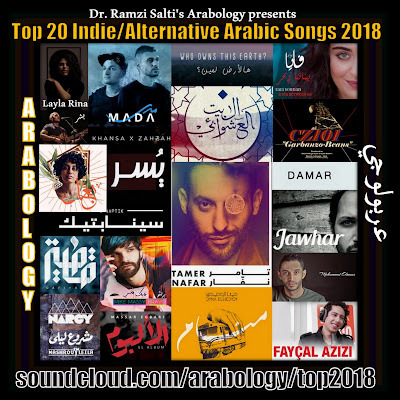 By combining contemporary Folk and Electronic music with Arabic lyrics, he developed a singular style of sharing his intimate stories, making them direct and moving. In October 2018, Yousef Kekhia released his first self-written solo single “Hal Ard Lamin?”, accompanied by a crowdfunding campaign in order to finance the production of his debut album “Monologue”, which is set to be released in 2019. English translation of lyrics: Who Owns This Earth? Ask yourself about the concept of borders Break your prison Who wrote those orders? Raise your head You're not a refugee of the oceans Roam wherever you want to Because this earth has no borders Who owns this earth? Who owns this earth? Who owns this earth? Who owns this earth? Escaping from death Migration politics And this paper called “passport” Will imprison you Are they real, all these borders? All these divisions To stoke the fires of war And make us live like we’re (already) dead Who owns this earth? Who owns this earth? Who owns this earth? Who owns this earth? You can impose passports You can build borders You can send soldiers You won’t deter me You can make the fence higher You can hide faces You can brainwash the masses You won’t stop me Who owns this earth? (This earth is mine) Who owns this earth? (This earth is yours) Who owns this earth? (This earth is hers) Who owns this earth? (This earth is ours) The earth is mine. "Night Shift" is a track from the album "Garbanzo Beans" that explores several genres that he experienced in the 60s, and 70s. Vocals by ZIAD SIDAWI and LANA MOUSSA. Composed, arranged and performed by Charif Megarbane & Ziad Sidawi. ZIAD SIDAWI always loved composing music but his piano teacher wanted him to play Bach and Chopin, so he would start to play the music piece then take it somewhere else. Ultimately by age 12 he stopped piano lessons because there was no one to guide him towards composition. Since he got no family support to become a composer, hedid the 2nd best thing which was to write programming code to create software applications. Fast forward several decades later and suddenly he said enough is enough and in 2012 he started taking online courses and found a partner in Charif Megarbane, who is a multi-instrumental player and composer, and they formed Cz101. "Night Shift" was written from 14 AM which may explain the song title. Lana Moussa is a Lebanese artist. Her interest in music started early and her talent matured by learning to sing different genres in different languages, from Tarab (classical Arabic music) to opera. Lana works in the humanitarian and media broadcasting fields. She is now slowly taking baby steps into making it a career after having participated in several concerts. She is interested in maintaining her Arabic music heritage as well as songwriting and composing expressive musical pieces that are out of the norm. Lyrics in English: It scares me to speak of how I feel about you, knowing you might reject and ignore me. But should I keep my love from you, would my eyes speak the truth of my whims. I had seen a vision of you in my sleep, before I ever loved you. He promised he would stay then left me with my thoughts of you. Should I confront him, would he hint at my love for you? But should I keep my love from you, would my eyes speak the truth of my whims. Albaitil Ashwai [Random House] is a Jordanian experimental band based in Amman. The band members all reflect their own musical background in the music of the project by a variety of musical styles, like indie rock, reggae, punk rock mixed with sufi music. The name of the band is inspired by the belief that all universal laws were created after a completely random interaction between its own elements (in both the physical and the spiritual realms of the universe), so the only way for humanity to find Utopia is by living a life based on complete natural freedom, free will, and randomness. I met band member Qais Raja (Guitar & Vocals) at Corners Pub in Amman, Jordan in August 2018. Khalid Nwairan and Raed Massad have been working on their official album for over a year. 'MADA' electronic band they created and their new album called "Bokra Ahla" aims to develop the platform of Arabic commercial music by providing new ideas of production for each for each song.. Khaled says that "Bokra Ahla means we are concerned about what the Arab world is passing through these days and we think tomorrow must be better no doubt. We want to integrate various artistic international production techniques to reflect our Jordanian and Arabic culture in understandable ways." Fayçal Azizi (Born in 1986 in Tétouan) is a Moroccan actor, singer and writer. He first rose to fame through his song "Werda ala Werda " from the film L'orange amère " and has had huge success with his group K'lma as well as by releasing his version of "Haka Mama" in 2015. Fayçal has just received his degree from The Record Factory in Seoul, South Korea. His career as an actor first started in theater after attending the Higher Institute of Dramatic Arts and Cultural Animation in Rabat. He then formed the music group K'lma in 2004. His feature film debut came in 2010 when he starred in Majid of Nassim Abassi. He has also just released a gorgeous duet with Sakina Lafdaili aka Klma Band called "Tkellem," written by Fayçal Azizi.